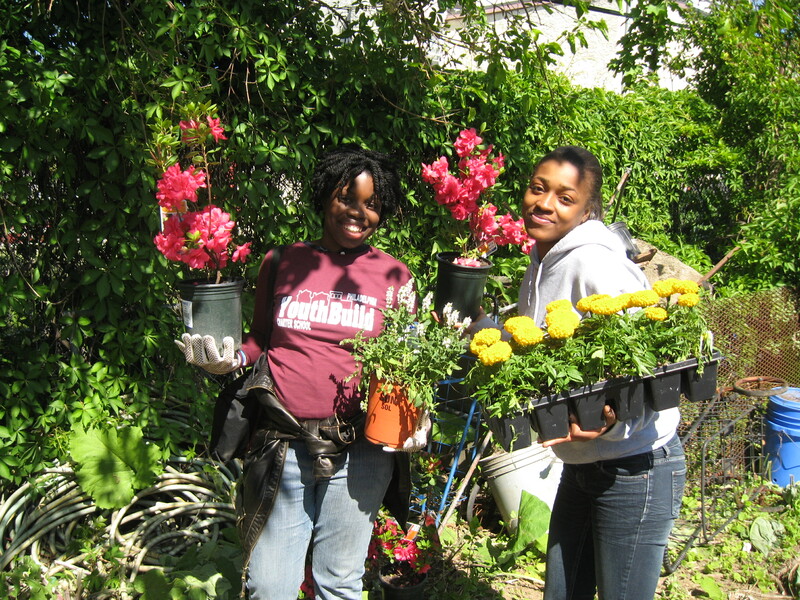 Revitalization of Francisville: In partnership with Francisville NDC, YouthBuild students donated and planted grape vines in a garden, and planted trees along the streets of Francisville. Students learned urban gardening techniques from the Pennsylvania Horticultural Society’s Tree Tenders. 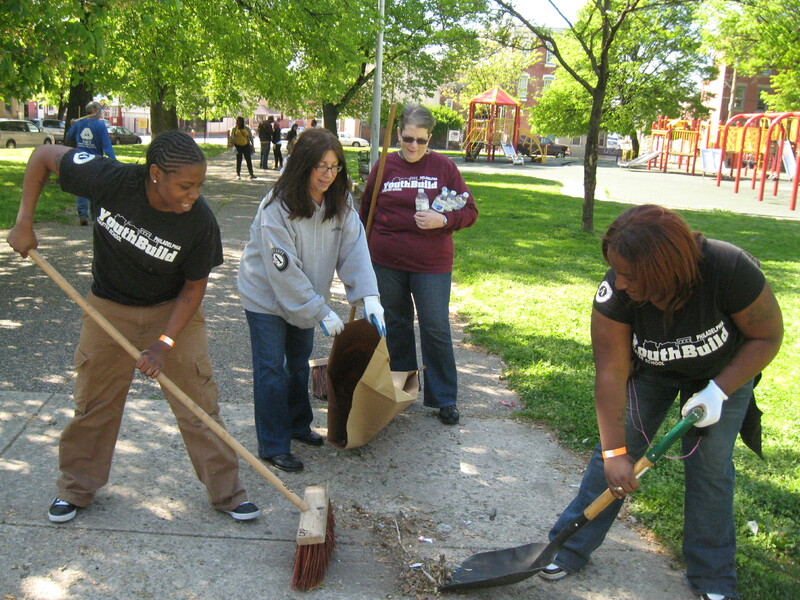 Park clean-up with HACE CDC: YouthBuild students mulched trees and cleaned an area in the North Fifth Street neighborhood of Latino businesses and cultural institutions. Gardening at the Village of Arts and Humanities: YouthBuild students planted donated fruit trees, vegetable plants, and flowers. See ABC6 Action News coverage of the project in action. Youth Foundation is a new student organization responsible for planning service projects and allocating the school’s resources to support the community. This year, the group focused its efforts on Global Youth Service Day, which is celebrated in over 100 countries as the largest service event in the world. To see more photos of the events, visit Flickr or our Facebook page. Next Post Do you know a high school dropout?